Play all your drops, jingles, and sound effects, while running other DJ software on the same computer. Performers arm yourself with an arsenal of audio files at your finger tips. instantly select tracks with no delay. Have every sound you need, ready to go with a moment's notice. Instantly trigger the appropriate sound for the big play! KueIt runs seamlessly on either a Mac OSX or Windows laptop. Use KueIt on Windows 8+ touchscreen devices to trigger audio by pressing on the screen. KueIt has been translated to English, Spanish, French, German, and Italian. The keyboard layout can be customized to QWERTY, AZERTY, and QWERTZ keyboards as well. "KueIt made it easier for me to load up my sounds. No more instant replay…KueIt makes it convenient now to have everything in your laptop and ready to go. Those people that are old school and still doing the old thing, take your career… renew it, and 'GET FAMILIAR' with KueIt!" 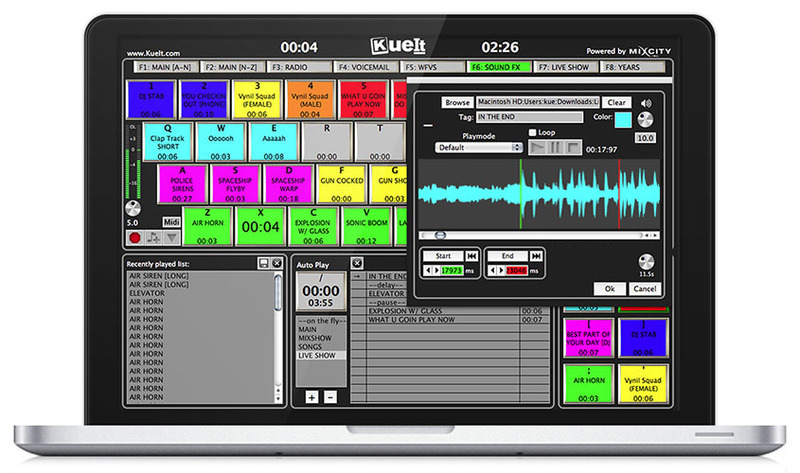 "KueIt allows DJs to step their game up. You can play like a radio DJ in front of a crowd, KueIt is one of the hottest new programs to hit the market." "KueIt is incredible, you can have your profile hooked up... so when I gotta do my radio show, on the air, on the internet, in the club, you're ready to go! KueIt is the way to go... go get KueIt today. Trust me, you won't go wrong!" 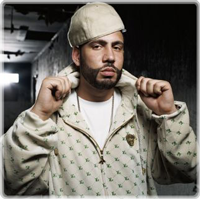 "KueIt is the truth...you better get with it baby, DJ Clue told you so. CLUEMANATIIIIII"
"KueIt is the perfect program to run all your drops and jingles without having to hook up an external unit. It's user friendly and has all the features you really need as well as constant upgrades adding more features in the future. A must have for any DJ!" "KueIt changed the game! 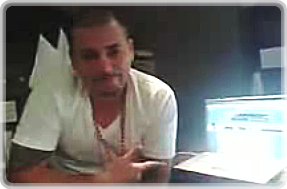 The way I do radio, mixtapes, clubs, and T.I. 's shows has now been revolutionized by KueIt! I used to have to carry around a bulky machine and now I can get everything done with my laptop and the KueIt program!" 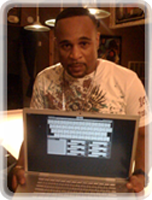 "KueIt is a program that I use to perform at my live show. It replaced my bulky hard drive machine and made my life on the road much easier. 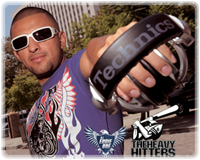 I use it as a performance tool, but DJs can use it to rock all their drops and sounds on the radio or in the club. This product is revolutionizing the game." 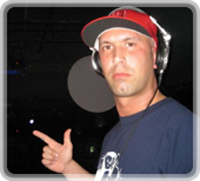 "KueIt makes my life (DJing on the radio) easier, and it's extremely user friendly. After using it for only a few minutes, I felt comfortable enough to take it to the radio and get busy with it live on the air." "I use KueIt at my live performances. It's perfect because I no longer have to carry my $3000 sampler all over the world to do my gigs. All artists really need to look in to this. It's perfect." "If you stay on the road constantly and you use the 360', well you won't need it any longer. This software is called KueIt, and it's Mac & PC compatible. You need to purchase this. 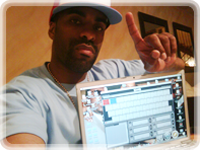 Be the leader that you are and make this the #1 product for the DJ." "KueIt allows DJs to step their game up. It's perfect for running all your drops & sounds on the radio and in the club. Don't be one of the last people on it. 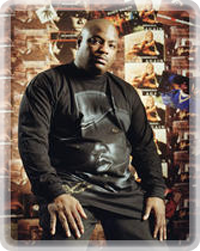 DJ Pharris told you so! Go cop that KueIt today. You need that!!" "Kueit Pro is THAT $#@%! 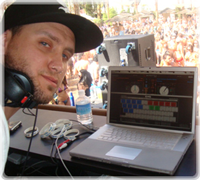 This program is a great add on to a DJ's ever-growing repetoire.....Kueit will help any talented Dj accentuate his mixes to the "next level". It is a cliche, but it is true......if you have the creativity, Kueit will help you make that magic happen!" "KueIt is definitely a hot program. 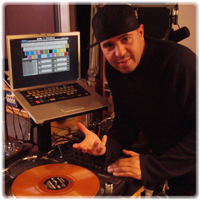 Any DJs out there that want to get their drop game correct, or even if they're a DJ for a rapper or singer, this is definitely a hot program to use!" 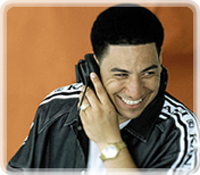 "KueIt took my drops and sweepers to another level for me on my mixshow at Latino 96.3 FM in LA and at the clubs. I'm able to do things quicker and smoother." "Kueit is HOT! I use it, and you should too! This really helps to add the final touch to your mix." "Wow! This changes the game. KueIt will take your DJ sets to that next level. I know next time you see me play it's gonna be trouble. You better hop to it with KueIt." "I got up on this KueIt thing, and I love it! Me and my crew are heavy wit' it. We're in the clubs wit' it. We're on the radio wit' it. One touch of a button and you're on. Get up on it." 93.7 FM Hartford CT. Heavy Hitters, Top Floor Ent. "It's like having an Instant Replay on your laptop with out a carrying case and cords. Very easy to work and customize your hot keys. It's a must for every DJ and on air personality!!!" 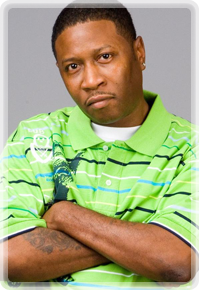 Nationally Syndicated on over 90 Radio Stations Nationwide! "KueIt est le meilleur outil pour les dj qui voyagent beaucoup. Les possibilitées sont sans fin. (KueIt is the best tool for DJ's who travel a lot. The possibilities are endless.)" "KueIt is definitely the truth... for all DJs who like using samples in their mixshows, drops, bombs, horns and all types of effects. You need to learn it, KueIt... It's definitely official and I'm co-signing it to the end."